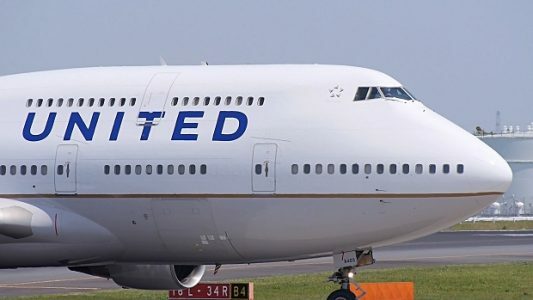 United Airlines will retire its final Boeing 747-400 by year-end — roughly a year sooner than planned — because the iconic aircraft is no longer cost effective to operate, the carrier said on Wednesday. United currently operates 20 of the hump-backed jets, using them on routes from San Francisco to Europe and Asia. As recently as two years ago, United had considered keeping some 747s until at least 2020, but now the plane is no longer competitive. Though many of United’s 747s are less than 20 years old, the airline said the 747s require more attention from maintenance than other aircraft. Plus many other airlines have retired their 747s, making finding spare parts a challenge. Cathay Pacific recently retired its 747s, while KLM is reducing its fleet. This year, United is taking delivery of 14 Boeing 777-300ER aircraft, which have a similar seat count to the 747, but only two engines, rather than four. According to United, the 777-300ERs burn roughly 20 percent less fuel on a per-seat basis than the 747. Delta Air Lines, the only other U.S. airlines with the Boeing 747-400, will also retire its feet later this year. To read more at Skift, click here.